Created in 2016 by a core of well known wood energy companies, FEBHEL aims to structure and stimulate the economic development of the wood energy sector on a local scale and according to a virtuous model. To achieve this goal, FEBHEL is carrying out specific activities as: - Representation, promotion and defence of the wood energy sector with political and decisional institutions; - Development of local markets linked with wood energy sector; - Development/improvement of good practice with stakeholders; - collection of statistics (monitoring). 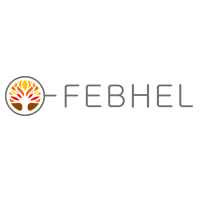 Member of FEBHEL are mainly private companies with commercial activity in the wood energy sector on the Belgian territory: fuel wood (pellets, chips, logs) producer / trader / distributor, wood energy technology producer/seller, service provider in wood energy sector (engineering, design, logistic…).